Saint Andrews International School in Blantyre, Malawi was founded 1958 as a high school. 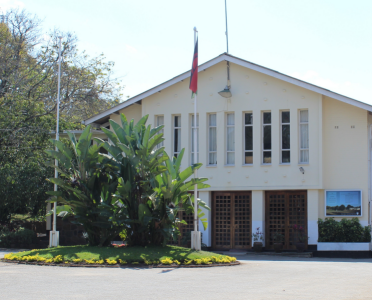 It was founded by the Church of Scotland Mission in Blantyre Saint Andrews International School offers education to students from Years 7-11 based on a British curriculum adapted to a Malawian context. Year 11 student work towards IGCSE or the equivalent BTEC level 2 qualifications in preparation for entry to Universities in Malawi, Southern Africa, UK, Europe or North America. As a teacher the major plus points for working at Saint Andrew’s International High School is, that is has great before and after school programs. As a teacher you’re able to teach various languages such as Mandarin, French, German, Italian, and Spanish. As a teacher a major plus is how engaged the students are into learning as this is an excellent school for higher learning. The SAT/ACT prep programs are great for teachers to enter to teach students. The school should accommodate special education and provide transportation for students. From experience I think the school could develop when it comes to diversity sensitivity – it’s not very liberal when it comes to cultural acceptance, it’s either you’re black or white. This can be a great place to gain experience if you’re able to get along with the students. The students (many of them) are quite disrespectful in the sense of entitlement. There are other schools to teach if you have the options.